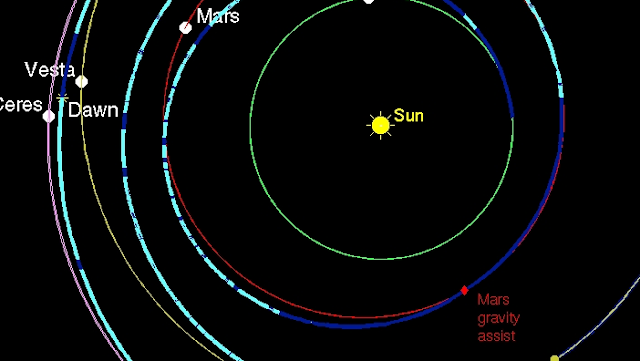 We'll probably see this mentioned in Marc Rayman's Dawn journal in a few days. 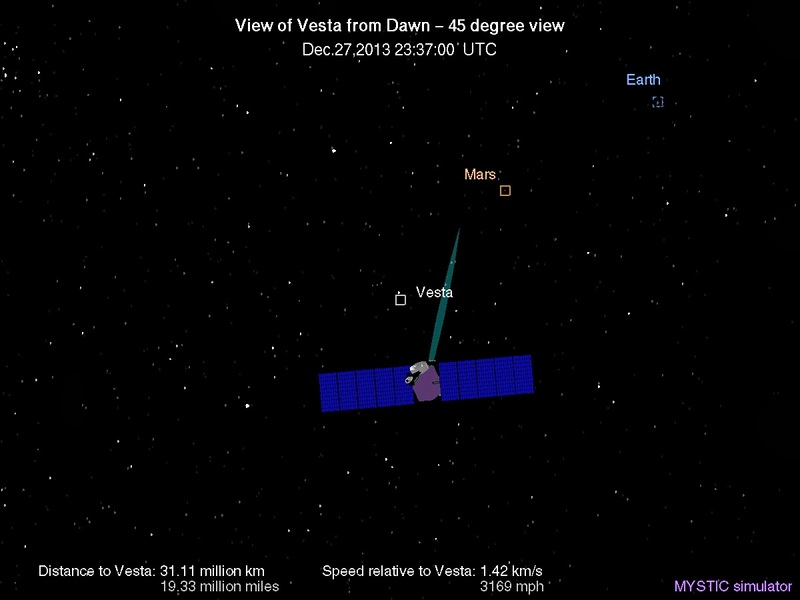 Dawn has just reached the halfway point between Vesta and Ceres, halfway in the sense of distance between it and them, not necessarily total distance traveled, which is kind of a useless metric in space travel in any case. 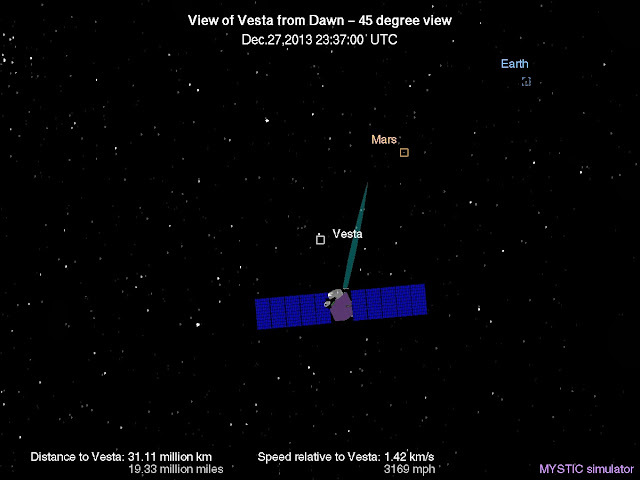 and in terms of distance it's a bit over 31 million km to each. 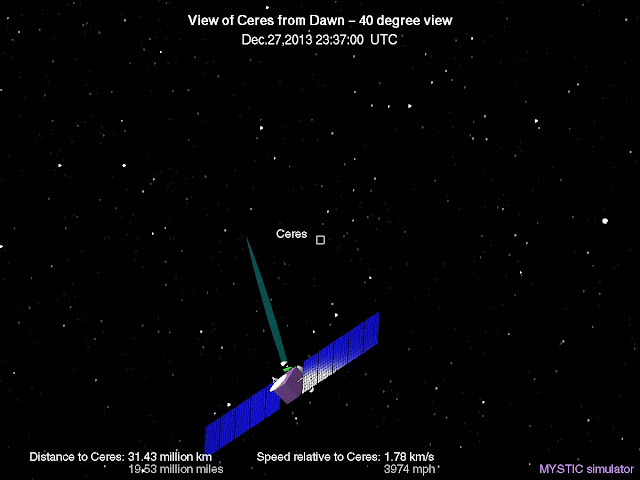 that means that Ceres is still at the somewhat-brighter-star-than-average point from Dawn's point of view. 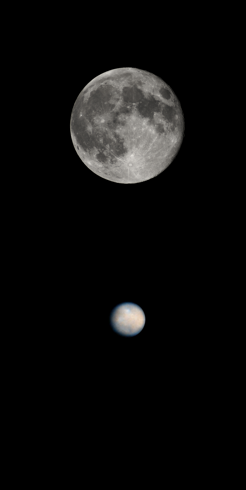 Both the moon and Ceres have very low albedos, in spite of the impression given by the images we have of them.